Google takes pride in its smartphone cameras. The company has long sought to make taking photos a primary part of the Nexus experience, with hit or miss results. Now it's looking like the development team has another hit on its hands. At today's event, Google was proud to announce that DxOMark has given the Pixel phone its highest score for a smartphone camera yet. Before we continue, I should point out that despite doing good work, DxOMark's numbers shouldn't necessarily be taken as gospel. There's room to argue here, but in the absence of our own hands-on experience, we will share what the DxOMark review has to say. The Pixel phone's 12.3MP camera reportedly provides a very high level of detail, with relatively low levels of noise under every lighting condition. Low-light performance was solid, and details hold up in indoor shots with flash.The biggest shoutout goes to Google's HDR+ feature. This has become the camera's default mode, and the results are nearly instantaenous. The process is fast enough to handle motion shots without creating ugly artifacts. In case "the highest-rated smartphone camera we have ever tested" is ambiguous, that means the Pixel phone is currently beating out the iPhone 7 and competing Android flagships such as the HTC 10 and the Galaxy S7. Here's a comparison shot. 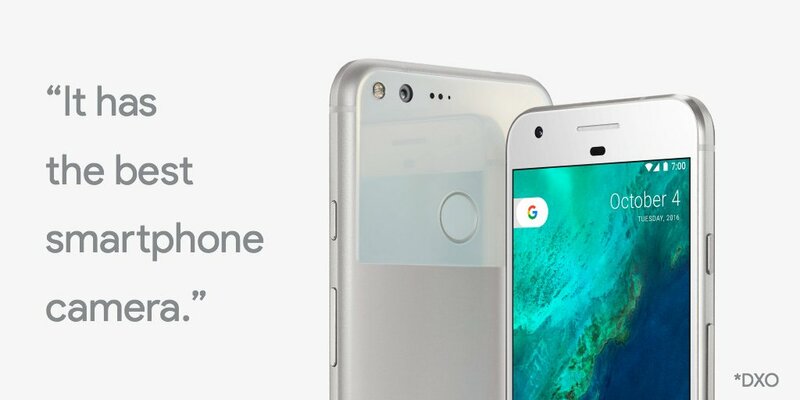 The Pixel phone follows last year's Nexus 6P, which received an impressive 84 points and a glowing recommendation. Google is offering free unlimited photo storage to anyone who buys a new Pixel phone.